As a Muslim I support Lancashire’s ban on non-stunned halal meat in schools. But how we treat the animals we eat is the issue here – not religious compliance. After a long – and heated – debate, councillors in Lancashire voted on Thursday to ban the supply of non-stunned meat in state schools. The decision has resulted in some controversy over the status of kosher and halal meat, which has legal exemption from being pre-stunned, with one Labour councillor describing the ban as sending a disrespectful message to the children of Muslim families. As a Muslim who eats only halal meat, I have to say that I am firmly on the side of Geoff Driver, the Conservative councillor who called for the ban. Killing an animal by cutting its throat may be an effective method of draining it of blood to avoid the transmission of disease – and is certainly prescribed by sharia law – but to do so without stunning it first is immensely cruel. As you might expect, a huge body of literature demonstrates that animals feel pain at the moment of slaughter and evidence suggests that it can take up to 14 seconds for sheep to become insensible following the severing of the carotid arteries. For cattle, it can take up to 85 seconds. To do that to an animal that is fully conscious is unspeakably cruel. This ban is not indicative of Islamophobia, nor is it disrespectful to those of Muslim (or indeed Jewish) belief. 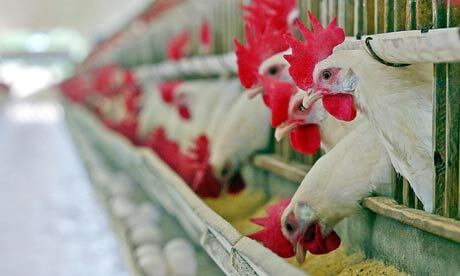 It is intended to improve animal welfare standards, which are shockingly poor in both the UK and many other countries. There are some differences in scholarly opinion with regard to the permissibility of pre-stunning in halal slaughter, but the fact is that in the UK, some 85% of halal meat is stunned before the animal is killed. Animals reared in Denmark and New Zealand must be pre-stunned – with no legal exemptions for halal or kosher – and such meat is widely available in British supermarkets. There is no evidence that Muslims eschew the produce of these countries: indeed, buying halal meat from supermarkets is far more convenient than making a separate trip to the local halal butcher. The Qur’an only requires that an animal be alive at the time its throat is cut; it makes no reference to stunning. Many prominent scholars see no issue with stunning, provided that the process of stunning does not kill the animal. The point of the halal method is to provide animals with higher standards of welfare and to minimise their distress. Halal does not just refer to the way the animal dies; it demands that it was reared with care and given a good quality of life. It is impossible to reconcile caring for an animal and protecting its rights with cutting its throat while it is conscious. But this is just the tip of the iceberg. In the UK, we pay scant regard to the conditions in which farm animals are reared, and it is notable that while issues around the sharia requirements for meat to be considered halal are frequently discussed, fewer people raise concerns over the treatment of farm animals before they enter an abattoir. This isn’t unique to livestock slaughtered in accordance with Islamic teachings, of course; it’s well known that our industrial methods of farming are bad for animals, bad for the environment and bad for those of us who eat meat. There are about 800 “mega farms” in the UK, some of which can hold up to a million chickens or 20,000 pigs. Cramped conditions cause these animals stress and agitation; it has even been claimed this leads to cannibalism. Antibiotic resistance is increasingly common. Many animals will be mutilated, either by docking their tails or clipping their beaks, to stop them injuring each other. Indeed, despite being illegal, 81% of piglets in the UK have their tails docked – and if they’re under a week old, it is done without anaesthetic. It is not uncommon for them to be killed by being gassed – a deeply unpleasant way to die. Evidently, it is not just halal slaughter that needs to be made more humane. The fact is that we have created a system whereby our continually increasing demand for cheap meat has resulted in ever-decreasing conditions for those animals. And although not all meat produced in the UK is reared intensively, it’s clear that the problem is substantial. Free range produce is not the answer – as we know, it means little in terms of improved conditions for animals – and while “organic” may be branded as promoting higher welfare standards, in reality it doesn’t have an enormous bearing on the quality of an animal’s environment or life. Quality – both of life and of the produce that we eat – comes at a cost, and the truth is that we cannot continue to stack ’em high and sell ’em cheap. There has to be a more ethical, environmentally friendly approach. So while I welcome a ban on non-stunned meat that purports to be halal, I don’t think it goes far enough. We need a review of the legislation around animal husbandry and methods of slaughter across the board. This is not a Muslim issue, or a Jewish issue. This is about formulating sensible, evidence-based guidance and legislation to reduce the suffering and harm caused to millions of animals every year, and it is long overdue.